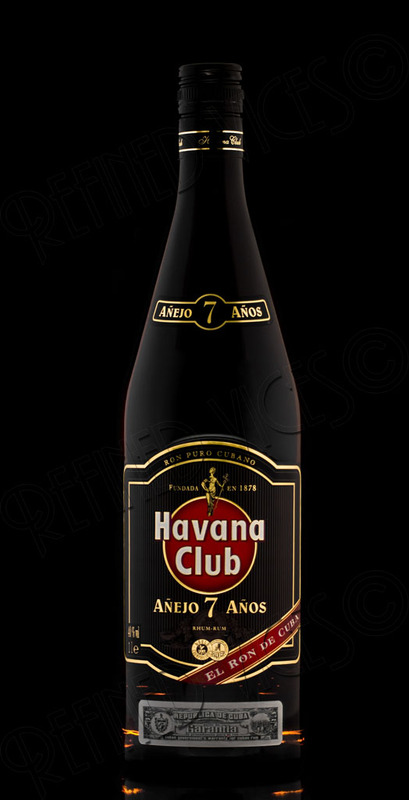 Havana Club 7 is bottled inside a dark, elegant bottle. It reminds me of the 1930s with its red, black and gold coloured label. The bottle is sealed with a screw cap, but for some reason I cannot imagine a cork on the bottle. Despite the screw cap, the bottle doesn’t lose any refinement from its appearance. 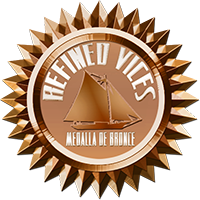 The brown glass of the bottle prevents you from seeing the real colour of the rum, but in the glass it is a sparkling bright amber. To the nose, the rum is a bit strong and alcoholic at first, but forthwith comes complex aromas of prune or raisin, and the smell of burnt sugar. Surrounded by all these complex aromas, I can almost detect a hint of vanilla but only for a moment before my senses are overwhelmed by the aromas again. In the mouth it is slightly tingly and burns in the throat, immediately followed by a soft soothing wave. However, in the palate the rum continues to tingle surprisingly long. Just like in the aroma, I can almost taste vanilla and this time also chocolate, but the sensation soon disappears and is replaced by a tingling in the mouth. The finish leaves a rummy and woody dryness in the mouth and bitter floral tones on sides of the tongue. Long after the bitterness has disappeared, a pleasing buttery flavour keeps lingering in the mouth. Despite the complex aroma, which made me hope for more flavour, the taste remains quite clean. Havana Club 7 Años is good rum and goes well with a Cuban cigar, but it makes me wish there was more to it than just hints of flavours that disappear too soon. Have you tried Havana Club Añejo 7 Años? 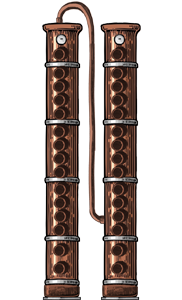 Tell us your opinion of the rum in the forums.